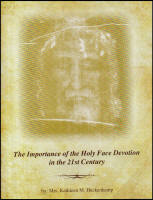 A little booklet on the devotion to the Passion and His Face as practiced by some of the greatest saints -- on one of our Church's oldest traditions! Therese the Little Flower, Saint Bernard. It is based on revelations beginning in 1844 to a nun named Sister Mary of Saint Peter, who was told to spread this practice to the world! 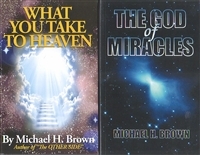 What You Take to Heaven and The God of Miracles Our Lady of Good Success - Prophecies for Our TImes - Marian Therese Horvat, Ph.D.